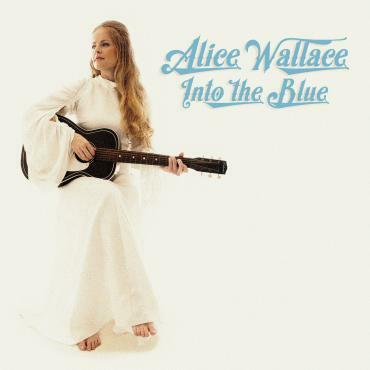 MEET Alice Wallace and check out her new album out today titled “Into the Blue”. The Beatles. Though in terms of sheer vocal prowess, Elvis. But The Beatles did such creative and wonderful things with their music, and they have been much more a part of the soundtrack of my life than Elvis. Only one?? Wow. Ok. One album to listen to forever. I think I’ll say Dwight Yoakam’s “This Time,” because it was the first album that I was absolutely in love with when I was about 12. I don’t think I will ever get tired of listening to that one. I have some favorites that are my go-tos: Emmylou Harris, Dolly Parton, Jason Isbell, Brandi Carlile, Courtney Marie Andrews, and lots more. Some wouldn’t be considered “country” by today’s radio standards, but they are still country. I think, and I hope, that country music will evolve to include more artists that have been on the fringes – especially women. Country radio has been especially excluding of female artists. And so much of what you hear is so similar and so manufactured. There are some incredibly talented artists getting little to no attention, but thanks to the power of the internet and satellite radio and streaming services, they’re slowly being heard. I think the industry will be forced to catch up. It’ll be on the road. I quit my job 6 years ago to hit the road and start touring, and I feel like I’m only getting warmed up. This new album coming out January 18th is something I’m absolutely bursting to share with people, and I can’t wait for the chance to get on stages across the country and do just that. I think this year is going to set a whole new tone for my career, and I can’t wait to see where it leads. So many! I’ve always considered my voice my main instrument. It’s the one that came the most naturally to me. I’ve played guitar since I was a teenager, but really as a way to craft songs and add rhythm to them on stage. I wish I could make a fiddle sing, or a pedal steel cry the way the players in my band do. But I also know that it’s not really where my heart or talent lies. Luckily, I am surrounded by incredibly skilled musicians who help bring my music to life in beautiful ways. To not give up on my dream. And yet, I still need to hear it on a regular basis. This is not an easy path to take – risking it all in a fickle music industry where it’s less about talent and more about luck. There are days when I question if I’ve made the right choice. But those days are much more rare than the ones where I wake up feeling like I’m truly living the life I should be. To learn as much as you can from as many people as you can. From the world around me. Spending so much time traveling has been incredible inspiration for my last two albums. Songs on my new album were inspired by things like a story I heard in El Paso, TX, about a woman who risked everything to come across the border. Or the stories of the losses Californians have suffered in the wildfires these last few years. I’ve got songs inspired by talking to someone next to me on a bus, or a plane, or just at a bar. When you open yourself up to the world around you, inspiration is everywhere. This album that I am releasing right now is my fourth. When I go back and listen to my first album, I sound like a different person. I can hear the timid way I approached a song. The almost apologetic way I formed the words. I have had some amazing experiences in the last few years – getting to play a festival in London headlined by Miranda Lambert and Eric Church, opening for The Band Perry to almost 6,000 people at the Pacific Amphitheater – but what I’m most proud of is how far I’ve come. This new album releases January 18th and I am unbelievably proud of it. I’ve already got shows lined up at the Sundance Film Festival, at SXSW, plus tours across the country and into Europe being planned as we speak. This is going to be a great year, and I can’t wait to share these songs with everyone. Another great blog! So inspirational .